With a mixer, beat butter and sugar together in a large bowl until well combined. Beat in yolks, lemon zest, lemon juice, and salt. On low speed, beat in flour just until large moist clumps form. You may need to use your hands at this point to form one large ball. Roll tablespoons of dough into balls. Place balls on prepared baking sheets about 1 inch apart. Make a deep indentation in center of each ball. Bake cookies until firm and lightly golden on bottom, about 18 to 20 minutes. 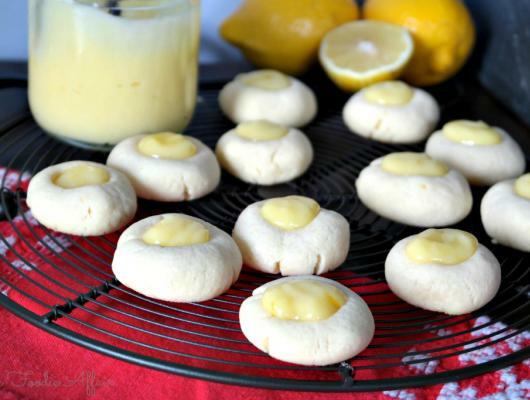 Remove cookies from oven and immediately fill indentations with curd. 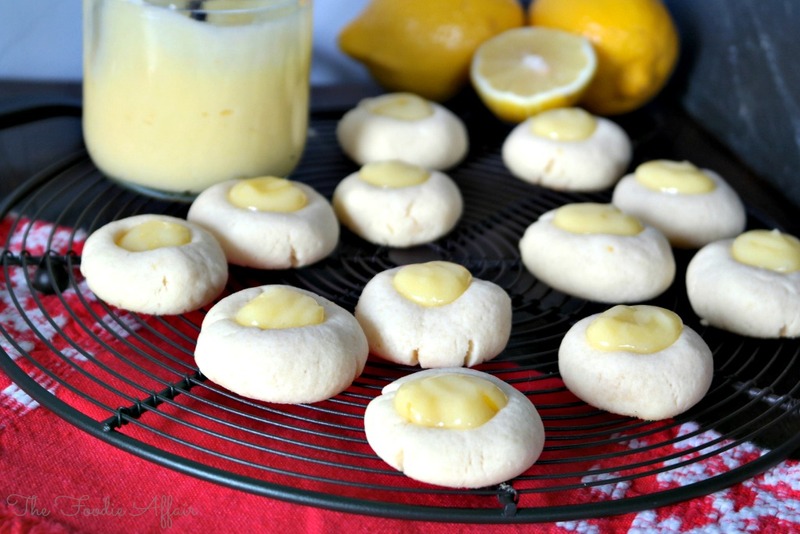 These delicious Lemon Thumbprint Cookies are crisp and buttery with freshly squeezed lemon juice in the batter, and another pop of flavor comes from the dollop of homemade lemon curd that’s in the middle.